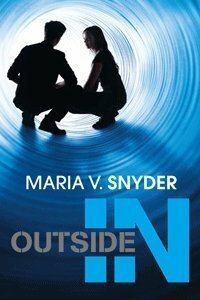 Why I want it: Inside Out was my FAVORITE book of 2010. I’m excited OUT OF MY MIND for this book!! Do you want to read Outside In? Is there a book you'd like to be featured? Click here to fill out the form and nominate it. If it's chosen you get five extra entries to win it! I just recently read the books of Bayern by Shannon Hale and noticed that your name comprises her two main characters. Is your name a pen name taken from her books or did your parents name you Enna Isilee? maybe I shouldn't ask--curiousity just got the best of me. I get your posts via Utah Book Bloggers. I'm waiting for this one to come out, to then get get the first one. Started reading the sequel summary without realizing it. Then I stopped. Less than a sentence. So, I'm good. Not spoiled. Ha! I read through the summary before I posted it and I didn't think it had very many spoilers. At least, it didn't spoil the BIG stuff. And the stuff it DID spoil was kind of obvious. I think it was more like a reflex thing, you know? :) No worries. I'm very excited to read this one!